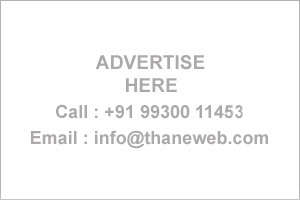 Thane Business Directory - Find list of Chest Specialists Doctor in Thane, Mumbai. Get address, Phone numbers etc of Chest Specialists Doctor on Business Directory. M.T. Agrawal Hospital, Prathmesh Hospital, Soham Hospital Dharmveer Hospital, Siddhivinayak Hospital Gaurav Hospital, Bhandup. Shree Prathmesh Hospital, Gr. Floor, Laxmi Market, Vartak Nagar, Thane - 400 606. Kavya Polyclinic, 95, Sahahi House, Raghoba Shankar Road,Thane(W). Shivam Polyclinic, 2nd Floor, Pradhan Bldg., Gokhale Road, Naupada, Thane. Sushrut Nursing Home, Almeida Road, Chandanwadi,Thane. : Thane Healthcare Hospital, Brahmin Soc, Gokhale Road, Opp. Hotel Usha Kiran Naupada,Thane West. Sane's Clinic, 28/29, Shreeji Arcade, Panchpakhadi,Thane West. Manawata Hospital, Kisan Nagar No. 3 Spandan, C h a n d r a g a n a Hospital, Mulund. Life Line Hospital,Khopat Thane West. Risk Care Hospital, Near Makhmali Talao, L.B.S. Marg,Thane West.